Kershaw Cinder Manual Opening Pocket Knife | BUDK.com - Knives & Swords At The Lowest Prices! 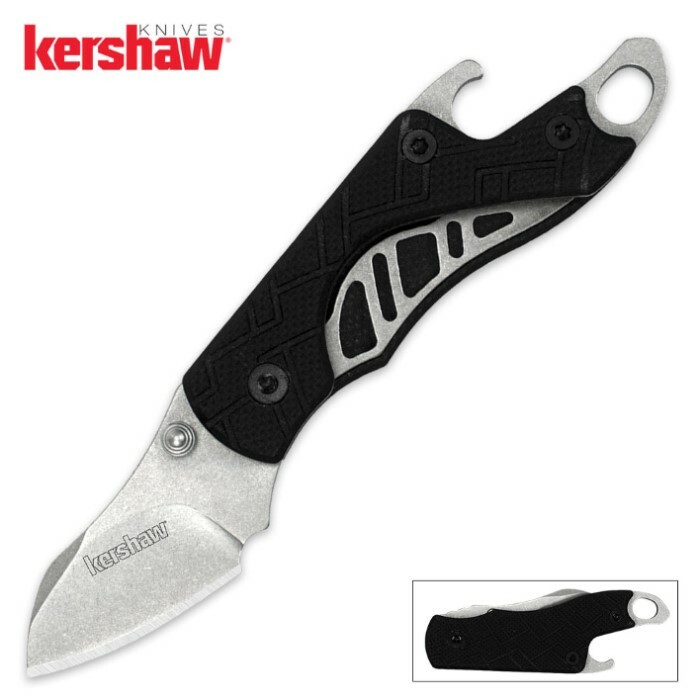 Designed by Rick Hinderer, well-known for the real-world practicality of his knife designs, the Kershaw Cinder Manual Opening Knife is built for performance. 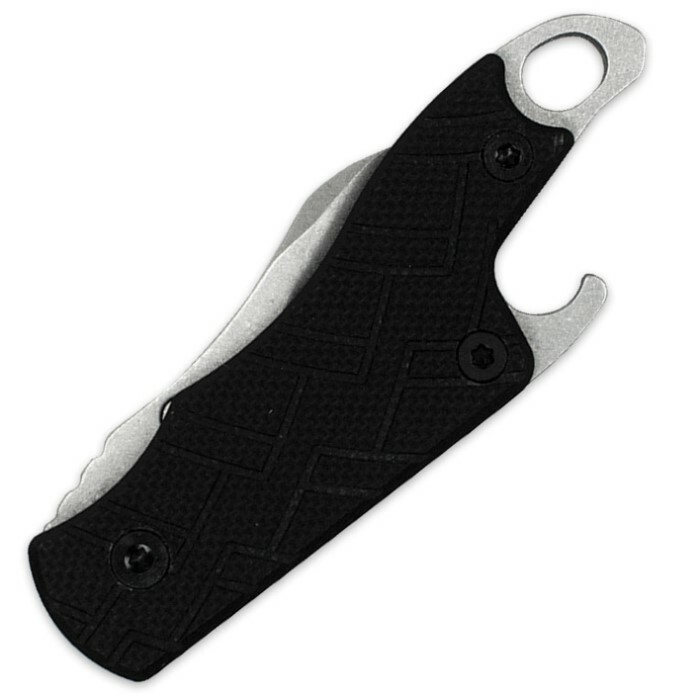 It’s small enough to attach to your keychain, yet it’s still capable of doing most of the tasks you carry a knife for. From opening packages to breaking down boxes, the Cinder’s got you covered. The stonewashed finish blade is 1 2/5” long, but because of the upswept tip, it offers plenty of useful cutting edge. Rick designed the grip so that your hand comes forward past the pivot point, enabling a full three-finger grip on this smaller knife. The handle is faux G-10 textured to enhance grip even more and the secure locking liner features cutout embellishments revealed by the design of the handle scale. The large lanyard hole makes attaching it to your key chain or pack simple. And you might have noticed the bottle opener built into the back end. Yeah, we thought you did. It’s plenty sturdy and ready to go to work when you are.